The Bahamas is one of the many countries with no income tax around the world. At Nomad Capitalist, our motto is simple: go where you’re treated best. But where do you find that place? Part of going where you’re treated best is up to personal preference. You may enjoy living in big cities like I do, or you may never want to see winter again. However, in my experience, I’ve found that some factors – like taxes – are universal. Simply put, if you’re losing a good chunk of your income to taxes, then you’re not in a place where you’re treated best. Last year, I visited Kuwait to explore the best countries with no income tax, and I’ve also visited places like Vanuatu, Saint Kitts, and now Bahrain to get a better idea of what life is like in countries with no taxes. The 15 countries with no income tax. How Can a Country Have No Income Tax? As a citizen of a high-tax country like the US or Australia, you might wonder how countries with no income tax make ends meet. However, the answer is simple: other sources of revenue. To see how this works, look at two US states with no state-level income tax – Alaska and Nevada. Alaska is a major oil producer, so roughly 90% of its revenue comes from the oil and gas industry. In fact, Alaska even shares its oil money with its residents through a permanent fund. A family of four living in the state receives roughly $20,000 per year. If it weren’t for federal taxes and bitterly cold winters, Alaska could become a popular destination for Nomad Capitalists. The Qatari government earns a surplus of revenue from oil and natural gas, which eliminates its need for an income tax. With so much revenue, Alaska has no need to levy an income tax, and the same goes for oil-rich countries like Oman and Qatar. Nevada, on the other hand, doesn’t have much in the way of natural resources, but it generates enough revenue from tourism to support its government without an income tax. Countries with no income tax like the Bahamas and Maldives fund their governments in the same way. Since they bring in plenty of money from tourism, they can allow residents to live there tax-free. Although I’ve substantially reduced my global tax rate, I don’t exclusively stay in countries with no income tax. Since only a handful of them exist, I also spend time in low-tax countries. Low-tax and no-tax countries are functionally similar, but they use separate types of tax systems. Countries with no taxes have a straightforward system where you don’t pay any income tax whatsoever. Low-tax countries, on the other hand, use territorial systems that only tax local sources of income. 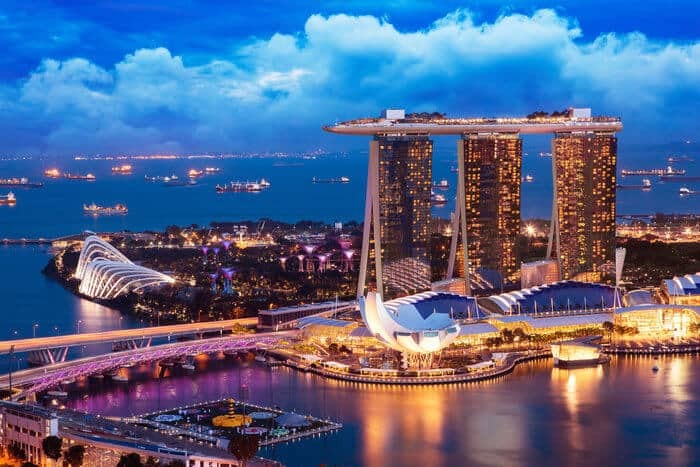 Singapore’s territorial tax system, for example, attracts wealthy expats by only charging tax on local income – not foreign investments. 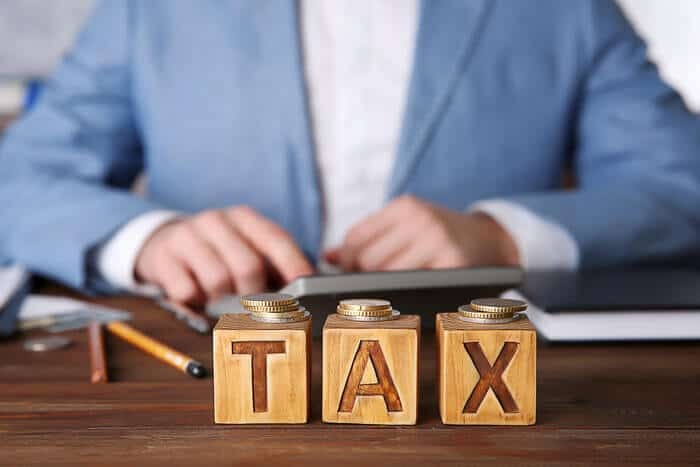 Living tax-free in a country with a territorial system can give you more options as far as second residences go, but you can end up paying tax if you want to rent your property there or invest in a local business. In Singapore, you only need to pay tax on locally-generated income. 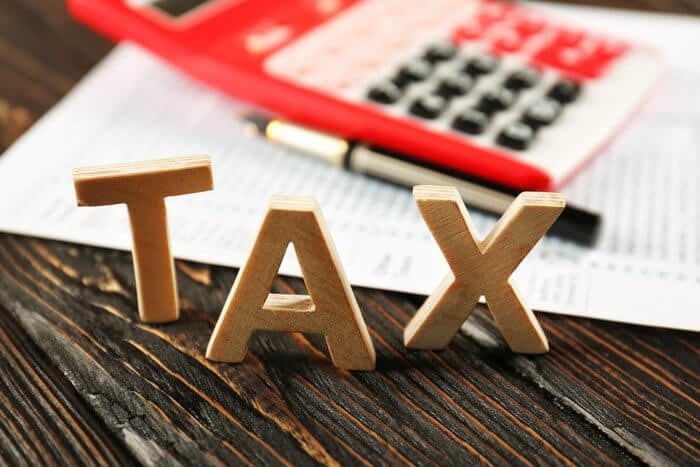 Low-tax and no-tax countries are thus somewhat similar in that you can feasibly pay no taxes in those places, but in low-tax countries, you may need to pay in certain situations. As of today, there are 15 countries with no income tax in the world. The following list includes all countries without any kind of income tax. You may not be able to get residence or citizenship in all of them, and some of them aren’t exactly the most livable. If you’re looking for more information on countries where you can establish residency and pay no taxes, take a look at this article. As one of the most popular tourist destinations in the world, it’s no wonder why the Bahamas doesn’t need to charge income tax to make ends meet. Plus, with its stunning beaches and fast-growing economy, the Bahamas is one of the most livable countries with no income tax. Establishing a second residence there is not too difficult, either – as long as you have the money. Getting a temporary residence permit is as simple as paying $1,000 at the immigration office, and it’s renewable every year. Recently, however, the Bahamas has started cracking down on foreign residents who use the temporary permit without making investments. If you want to stay there long-term, you’ll need to buy at least $250,000 in property to get on track for permanent residence. As a general rule, the more money that you invest in the Bahamas, the more likely you’ll be treated favorably by the immigration office. While getting permanent residence is mostly a matter of investment, citizenship is another story. The country has flirted with an expensive citizenship by investment program, but nothing has come of it yet. You won’t pay much in taxes to the Bahamas, but you’ll need to spend a substantial amount of money to live there. In the long run, though, it could be worth it to pay no taxes while lounging by the beach. Like many countries in the Persian Gulf, Bahrain does not charge its residents income tax. Bahrain was one of the first states in the Persian Gulf to discover oil on its lands. This oil discovery has allowed it to become one of the wealthiest nations in the world – and one of the handful of countries with no income tax. It’s also fairly easy to live there. While I’m not particularly enamored with Manama, the city is well-developed, and there’s a sizable expat community here. However, the problem with Bahrain – and many other Gulf states – is that getting permanent residence can be difficult. To establish permanent residence in Bahrain, you need to be retired, invest $135,000 in property, or invest $270,000 in a Bahraini company. While getting permanent residence in Bahrain is possible, citizenship is another story. You need to live in the country for 25 consecutive years and be fluent in Arabic. 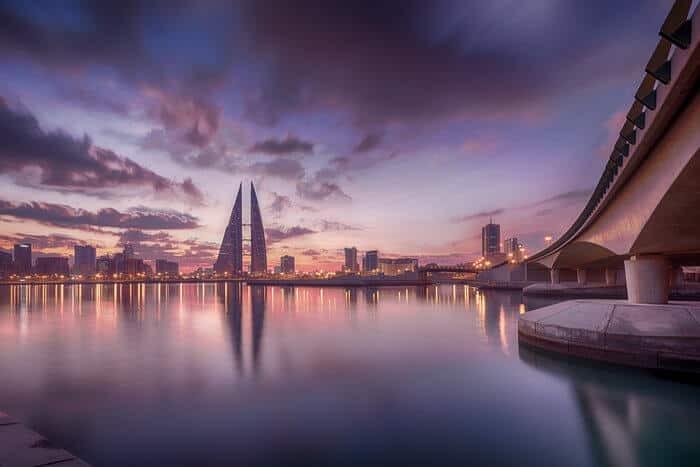 Bahrain, then, could be an option if you’re looking for a tax-free permanent residence in the Gulf, but don’t count on getting a second passport there. This tiny Sultanate on the Malaysian island of Borneo also has enough oil wealth to forego income tax. 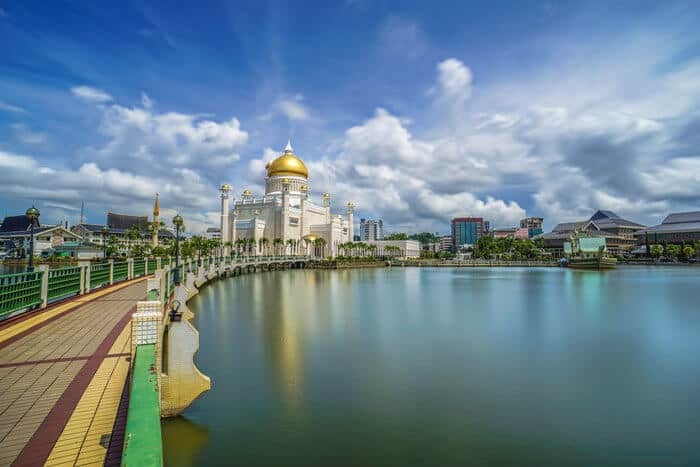 Brunei is an interesting tax-free country, but most people would not want to live there. However, unlike Bahrain or the Bahamas, Brunei is extremely difficult to live in. I wasn’t a fan of Brunei when I visited several years ago. It’s not very friendly to foreigners, and the government is, frankly, heavy-handed and dictatorial. I even met a fellow expat who was scared to speak with me thanks to local laws and policing practices. Permanent residence and citizenship are also out of the question – unless you somehow gain the approval of the Sultan. Brunei mostly just exemplifies how countries with no income tax are not necessarily hubs of economic freedom. Like the Bahamas, the Cayman Islands’ scenic beaches draw in enough tourists to keep its government afloat without the need for income tax. However, if you want to live there long-term, be prepared to invest a considerable amount of money. You’ll need to be making $145,000 per year and invest at least $600,000 in real estate or local companies if you want to live on Grand Cayman, and from there, you’ll need to wait another eight years for permanent residence. And, as in most Caribbean countries, the more money that you invest, the more easily you can obtain permanent residence. However, you can get away with investing a bit less if you choose to move to one of the less-popular islands, like Cayman Brac. 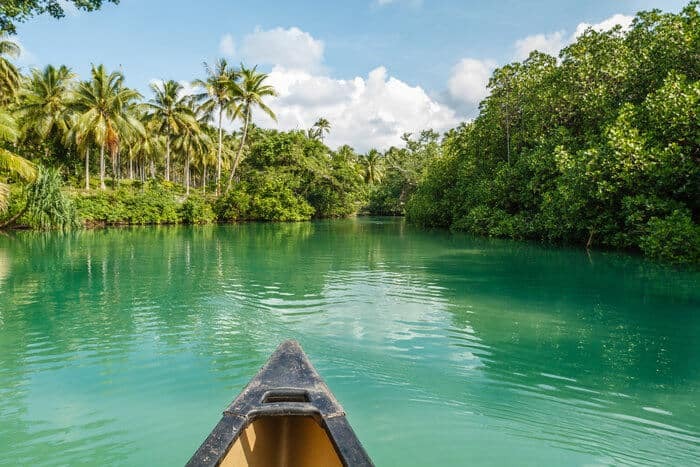 The Cayman Islands can therefore be an interesting zero-tax option if you have the money to invest in becoming a permanent resident. You can live tax-free in the Cayman Islands – if you can afford the price tag. Like many of the Gulf countries on this list, Kuwait doesn’t need to levy an income tax thanks to its large oil industry. It’s also one of the most expat-friendly countries in the world. Foreign citizens make up two-thirds of the population, and from my experience, Kuwait City is highly Americanized and easy to navigate. However, while I enjoyed visiting and doing business in Kuwait, obtaining permanent residency there generally requires you to have Kuwaiti relatives or formal employment within the country. It also doesn’t have much need for foreign investment, so citizenship by investment is also out of the question. Living permanently in Kuwait’s tax-free haven, then, is near-impossible, so I wouldn’t base your tax strategy here. Imagine living in an over-water bungalow without paying a dime in income tax. You can technically do that in the Maldives, a small island country in the South Pacific. Thanks to its plentiful – and expensive – resorts, the Maldives doesn’t see much need for an income tax. However, while spending your days living tax-free in the Maldives sounds idyllic at first, staying there long-term is close to impossible. You need to be a Sunni Muslim to even apply for citizenship or permanent residence. Even if you are Muslim, the country doesn’t have a program for foreigners to become permanent residents – let alone citizens. So, while you won’t have to worry about triggering tax requirements as you lounge at the St. Regis, moving to the Maldives is out of the question for most people. Monaco’s stunning coastline has attracted wealthy Europeans for centuries. Monaco’s status as one of the world’s best tax-free countries has made it into a playground for the European elite. This gorgeous country on the French Riviera is safe and luxurious, yet it charges its residents and citizens a total of zero income tax. Plus, since the country tends to attract high-income, tax-averse types, it will likely remain among countries with no income tax for the foreseeable future. It’s also one of the easier tax-free countries to become a citizen in. 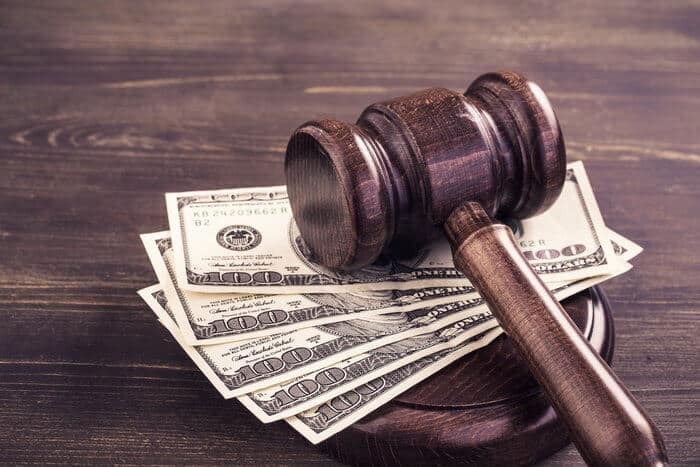 Although you’ll need to invest several million dollars to become a citizen or permanent resident, the process itself is fairly straightforward since it’s a popular country for citizenship by investment. If you’re thinking of moving there, check out our ultimate guide to getting residency and citizenship in Monaco. 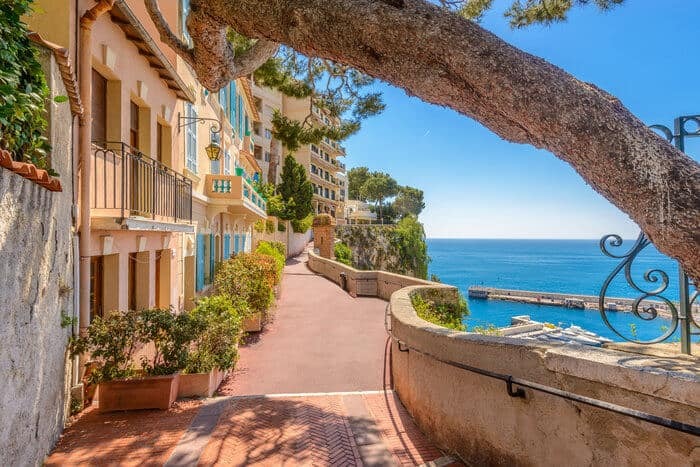 For those of you prefer European glamour to island life, then living tax-free in Monaco may be the right choice. Nauru is a small island country in Micronesia that was first named “Pleasant Island” by European sailors. Unfortunately, however, the island doesn’t seem to quite live up to its nickname. Most people only know of Nauru for making headlines as the location of a controversial Australian-run detention camp for asylum-seekers. Although Nauru certainly has many of the charming features that draw visitors to other Pacific islands, the island’s phosphate mining industry has decimated its economy. It may even be sinking into the Pacific Ocean, too, thanks to rising sea levels. In fact, Nauru is among the world’s countries with no taxes because of the government’s last-ditch efforts to keep its economy afloat. If you’re looking for a peaceful tax haven in the South Pacific, Nauru might not be your best bet. Like most of the Middle Eastern countries on this list, Oman is a wealthy and entrepreneurial nation that has no need for an income tax thanks to its oil and gas industry. 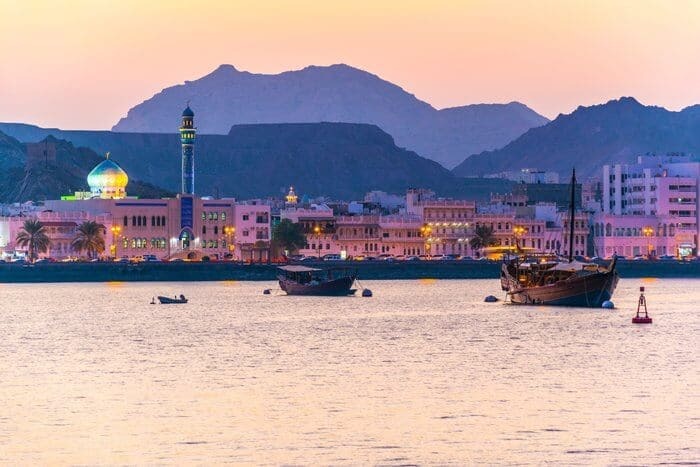 Additionally, despite its massive oil and gas reserves, Oman has made a distinct effort to diversify its economy and open its markets to new opportunities. This makes it a great alternative to the UAE for investors looking for new opportunities in the Gulf. The Omani government even offers an Investor Residence Visa on its website. However, specifics like minimum investments aren’t readily available, and none of the lawyers I spoke to in Oman specialize in this area. As with most wealthy Middle Eastern states, Oman isn’t exactly dying for foreign capital, so expats looking to move there usually need a job or family in the country to do so easily. Actually living there can also be a major adjustment since Omani culture is quite conservative. In fact, you need to obtain a personal liquor license from a local police station to even buy a bottle of wine. Oman is an interesting option among countries with no taxes, but living there long-term isn’t generally in the cards for most Nomad Capitalists. For investors looking toward the Middle East, Oman can be an interesting alternative to the UAE. At first glance, Qatar appears remarkably similar to its neighbors in the Persian Gulf. It’s a small, wealthy country that earned its fortune through the oil industry. Its culture is highly conservative yet rapidly modernizing thanks to foreign investment and influence. And, of course, its oil and gas revenue allows the government to stay afloat without levying an income tax. Despite these similarities, Qatar is a fascinating country due to its particularly high level of development and role in world politics. Despite its small size, Qatar has the highest per capita income in the world, and many regard it as the most developed country in the Middle East. It also plays a unique role in global and regional politics. Although Qatar is autocratic by most standards, it supported many rebel groups during the Arab Spring financially and through Al Jazeera – a Doha-based media organization. Qatar’s regional and global ambitions have ultimately landed the country in hot water with its Middle Eastern neighbors, and many of them have even cut diplomatic ties with the country. 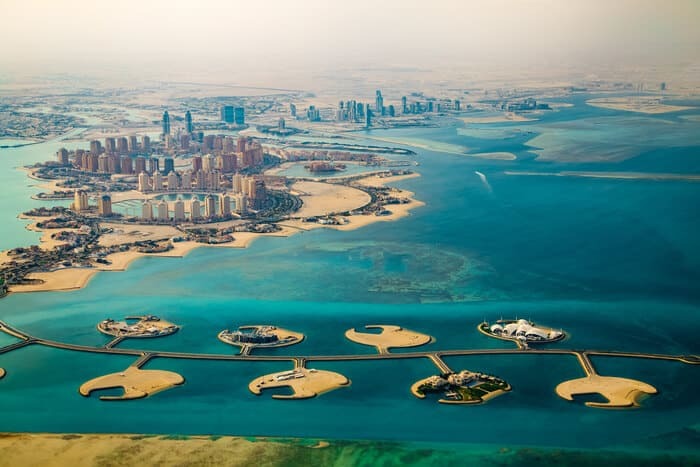 In spite of this conflict, Qatar is a relatively peaceful and pleasant place to live, and it’s the only Gulf country to offer permanent residence for expats. That being said, like most countries with no income tax, it’s still difficult for foreigners to attain permanent residence since requirements are strict and few lawyers specialize in the area. To even be eligible, you must have lived in the country for over 20 years and have a good command of Arabic. If you’re looking for a place where you can easily establish a tax-free second residence, look no further than Saint Kitts and Nevis. Unlike most tax-free countries in the Persian Gulf, you won’t need to meet substantial requirements to become a permanent resident. The price tag of citizenship by investment is also far lower than comparable programs in places like Monaco. 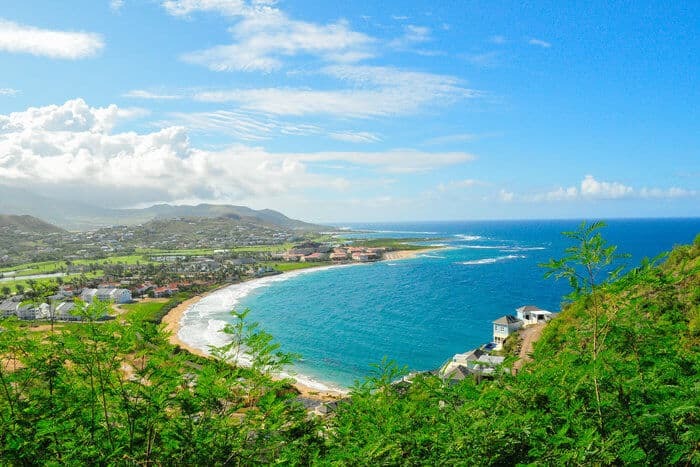 After these scenic Caribbean islands suffered hurricane damage in 2017, Saint Kitts and Nevis reinvigorated its citizenship by investment program, offering a passport and permanent residence for a $150,000 donation to its hurricane relief fund. Getting a second passport in Saint Kitts is one of the easiest ways to lower your global tax bill. While you can read more about the citizenship by investment program in Saint Kitts and Nevis here, it’s a relatively easy process that can take less than a year to complete. Remember when I mentioned that not all countries on this list are very livable? Somalia is – without question – one of those countries. Part of the reason why Somalia has no income tax is because of its status as a failed state. After the country descended into civil war in the early 1990s, its government has struggled to regain control. Insurgent groups like al-Shabab still control large swaths of the country’s territory. At its worst, the Somali central government controlled only a handful of city blocks in Mogadishu. Today, Somalia has become a bit more stable. While it still struggles with civil war, major accomplishments like the first commercial flight to Mogadishu from Ethiopia in nearly four decades have renewed hope that the country isn’t too far gone. However, Somalia’s emergence from decades of conflict might mean the end of its zero-tax status as the country repays its foreign debts. According to the Index of Economic Freedom, the United Arab Emirates is the 10th-freest economy in the world thanks to its openness to trade and low taxes. Like most of its neighbors, the UAE earns plenty of money from oil exports, so residents can live there tax-free. It’s also one of the easier Gulf countries to live and invest in. The government of the UAE openly encourages foreign investment, and cities like Dubai are well-known for their entrepreneurial spirit. The UAE is also highly livable by most standards – especially in terms of safety and development. While it is a fairly conservative country, the UAE is multicultural and more tolerant than some of its neighbors. Becoming a resident of the UAE is also easier than in other Gulf countries. While a permanent residence program for foreign investors does not exist, its visa policies are becoming easier to navigate. The government has even recently started to issue 10-year residence visas. Most lawyers and long-term expats I’ve spoken to agree that if you maintain your investments, stay out of trouble, and can deal with some bureaucracy, you can live in the country for decades. As an international hub for trade and finance, the UAE is one of the more appealing countries with no income tax on this list. If you want to live tax-free in Vanuatu, you can get citizenship by investment rather easily. Like many other island nations, Vanuatu relies on tourism revenue to fund its government. It’s also one of the few countries with no taxes where you can get a second passport quickly, easily, and (relatively) cheaply. After a devastating cyclone ripped through Vanuatu in 2015, its government re-introduced its citizenship by investment program to help raise funds to rebuild the damage. Today, Vanuatu’s citizenship by investment program is one of the easiest to navigate in the world. The country has even begun to accept Bitcoin as an investment currency. It also costs significantly less than similar programs in the Caribbean, and its passport has become considerably stronger over the past few years. The only drawback to Vanuatu is getting there. Although I’ve found a handful of inexpensive flights from hubs like Kuala Lumpur, traveling there is time-consuming and costly. However, since Vanuatu is one of the easiest countries with no taxes for citizenship by investment, going there may be worth the trouble. You probably won’t want to go to Western Sahara anytime soon, but it’s important to get a full picture of all countries with no income tax. Western Sahara, otherwise known as the Sahwari Republic, is an anomaly among countries with no income tax. Although it’s technically a disputed territory, 35 countries have established diplomatic relations with it, and it is recognized as a full member of the African Union. Its tax-free status is also somewhat of an enigma. Western Sahara doesn’t have enough income from its natural resources to subsidize a tax-free state, and it’s not a tourist hub, either. Instead, Western Sahara’s tax-free status likely stems from its territorial disputes. Therefore, although Western Sahara has a favorable tax policy, I wouldn’t recommend living or investing there. While Western Sahara isn’t a war zone, its unstable legal status makes living and investing there difficult – even for the most adventurous of Nomad Capitalists. Are you trying to lower your global tax bill? Then you may be thinking of moving to one of these countries with no income tax. Should You Move to a Country with No Income Tax? 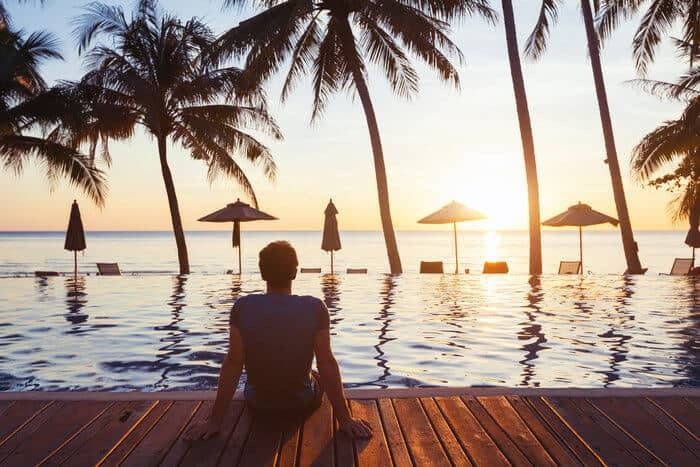 If you’re tired of losing a good portion of your income to taxes, then moving to a country with no income tax can be tempting. However, as I can attest, actually moving to one of these places and is easier said than done. If you’re a US citizen, you’ll still have to contend with Uncle Sam every year unless you renounce. You’re also limited in where you can go and where you can stay long-term. Gulf states tend to favor employed expats over foreign investors, and tourist hubs usually require a large investment to live there. Ease of access is part of going where you’re treated best, and unfortunately, not many countries with no taxes fit that bill. These kinds of limitations are why I often suggest low-tax countries as tax-free second residences. Territorial tax countries like Malaysia are often much easier to establish residence in than countries with no taxes. 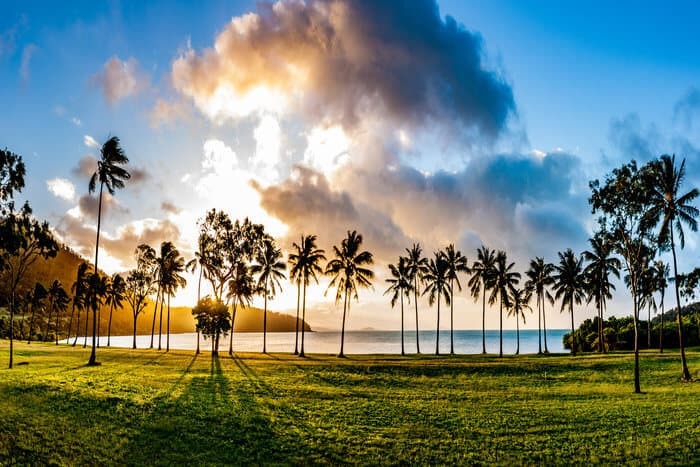 However, if you’re dead set on living in one of these countries with no taxes, you can get citizenship by investment fairly easily in Saint Kitts or Vanuatu. With some planning and flexibility, you might just be able to achieve the dream of living tax-free. With due respect and honor to inform you that I am a Reputed Importer and Exporter of Agricultural Tractor , tractor parts, Automatic gas cooker and burners, Air compressor, Maschio Rotary tillers. JUTE, JUTE YARN, JUTE STICK CHARCOAL POWDER ETC. I am regularly Import from India, China, Russia, Dubai. And Export the jute products to China. I want to get the 2nd citizenship to the best country where I have possible to business also smoothly. Please co-operate me and reply me with the check lists how I am easily to get the 2nd citizenship. Fairly obvious errors made in this ‘report’. Geography lessons needed. Hard to take any information seriously. I spent a year in Bahrain….not a place I will visit again let alone live. A two class system of have / have not. Do yourself a favor and visit….don’t take my word for it. Oh…added bonus…don’t believe in capitalism, God, Jesus, Yahweh, or any other higher power other than Allah. Last word of advice; unless you dream of being in the service industry, it’s not a good place for gainful employment. Happy travels!